Intel - SLA4F Intel Core 2 Duo Mobile 2MB 1.66 GHz SLA4F CPU. Intel processors provide the value customer the capability to affordably get onto the Internet and utilize educational programs home-office software and productivity applications. 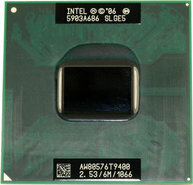 Intel - SLB6E P8500 Intel Core 2 Duo Processor (2M Cache 2.00 GHz 800 MHz FSB). Based on revolutionary Intel Core microarchitecture the breakthrough Intel Core 2 Duo processor family is designed to provide powerful energy-efficient performance. 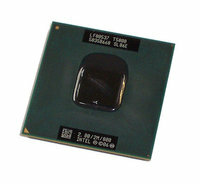 Intel - SLB3R P8400 Intel Core 2 Duo Processor (3M Cache 2.26 GHz 1066 MHz FSB). 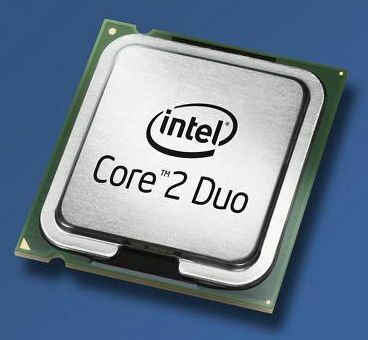 Based on revolutionary Intel Core microarchitecture the breakthrough Intel Core 2 Duo processor family is designed to provide powerful energy-efficient performance. 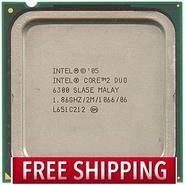 Intel - SL8VT SL8VT Intel Core Duo T2500 2.0GHz 2MB L2 Cache 667MHz FSB 65NM 31W Socket Pbga-479 & Ppga-478 Processor. New Bulk Pack. Hewlett Packard - 446443-001 446443-001 HP Intel Core 2 Duo Mobile T7700 2.4GHZ 800MHZ FSB 4MB L2 Cache Socket-478 Micro-FCPGA 65NM Processor Only. New Bulk Pack. IBM - 42W8286 42W8286 IBM Intel Core 2 Duo P8400 2.26GHz 3MB L2 Cache 1066MHz FSB Socket-BGA479 & PGA478 45NM 25W Processor. New Bulk Pack. 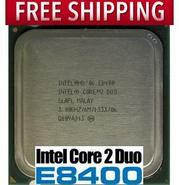 Intel - SLGEE SLGEE Intel Core 2 Duo T9900 3.06GHz 6MB L2 Cache 1066MHz Fsb Socket Bga-479 & Pga-478 45nm 35w Mobile Processor Only. New Bulk Pack. 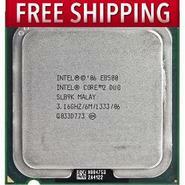 Intel - SLGES SLGES Intel Core 2 DUO T9800 Dual Core 2.93GHZ 6MB L2 Cache 1066MHZ FSB Socket-BGA479 45NM 35W Processor Only. New Bulk Pack. 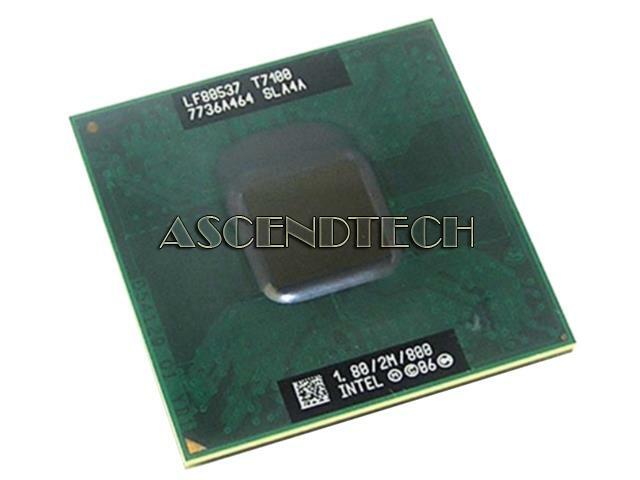 IBM - 42W7984 42W7984 IBM Intel Core 2 Duo P8400 2.26GHz 3MB L2 Cache 1066MHz FSB 45NM 25W Socket BGA-479 & PGA-478 Processor. New Bulk Pack. 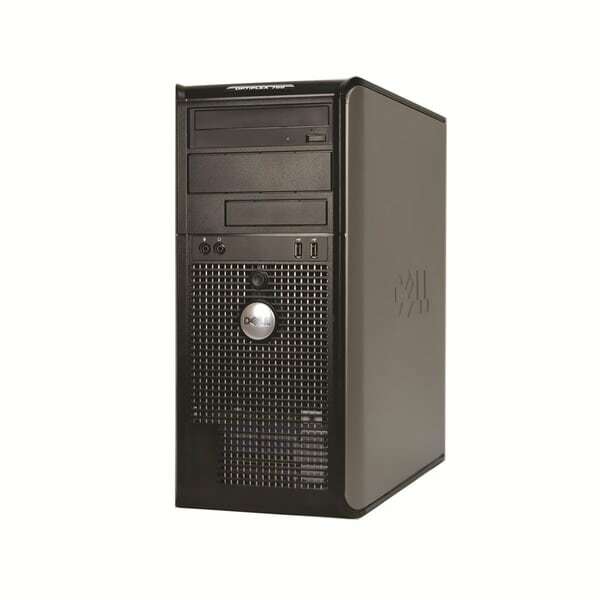 Hewlett Packard - 602070-001 602070-001 HP Intel Core 2 Duo E6600 2.4GHz 4MB L2 Cache 1066MHz FSB 65NM 65W Socket PLGA 775 Desktop Processor. New Bulk Pack. 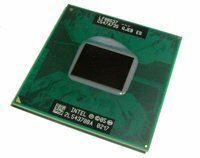 Intel - LF80537GG0414M LF80537GG0414M Intel Core 2 Duo T7300 2.0GHz 4MB L2 Cache 800MHz FSB 65NM 35W Socket Ppga-478 Processor. New Bulk Pack. Hewlett Packard - 507952-001 507952-001 HP Intel Core 2 Duo Mobile T9600 2.8GHZ 6MB L2 Cache 1066MHZ FSB 45NM 35W Socket BGA-479 & PGA-478 Mobile Processor Only. New Bulk Pack.